For those of you who thought I'd fallen off the face of the earth for about a week, I'm sorry! 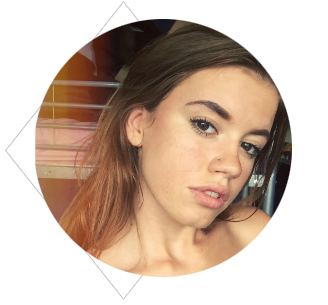 I'm still here and still blogging, I'm just super swamped in coursework and deadlines right now which leaves me little time for myself (and my blog). I'm now at the 'essays galore' part of my A-level which really isn't much fun, and I have several exams looming ahead. At the moment, the months ahead look pretty grey, but they will soon sizzle into a shimmering gold as I'm off on holiday and will finish for the summer in June! That's one huge motivation for me and pushes me to work hard, along with the fact I need good grades to go to uni. We're now zooming into April and, honestly, I wish time would slow down. It only feels like yesterday that I was writing up my 'February Favourites' - and it's been two months! Oscar and I have been enjoying the sunny spells and lighter evenings that have been washing over Wales and trying to make the most of them. Yesterday we walked to the top of a cliff (!) and then sat overlooking the sea. At the moment I feel very lucky to be living in the countryside as clearing your head is definitely easy. Today I have a lovely review to share with you. As you may know, I am a self-confessed jewellery obsessor and literally hoard the stuff. I was super excited when I saw that Lymehouse Jewellery were looking for bloggers to review their button earrings. I think they look fresh, simple and cute and have never owned a pair so I was thrilled at the chance to try them out. I chose a simple navy pair of button earrings (£4) from their Etsy Shop and was over the moon when the lovely Jo threw in a lilac pair for me too! My delivery arrived quickly and promptly. The packaging was lovely; I particularly liked the funky green tissue paper - a refreshing touch! My earrings arrived in a small organza bag accompanied by a tiny envelope containing a business card and a 'thank you' card. This was a lovely touch and really made the order feel personal. I adore the earrings! They are the perfect twist on simple studs and a quirky homemade touch. They are of great quality and cute additions to any outfit. I especially love the lilac buttons - they look particularly fresh and are perfect for simple spring outfits! 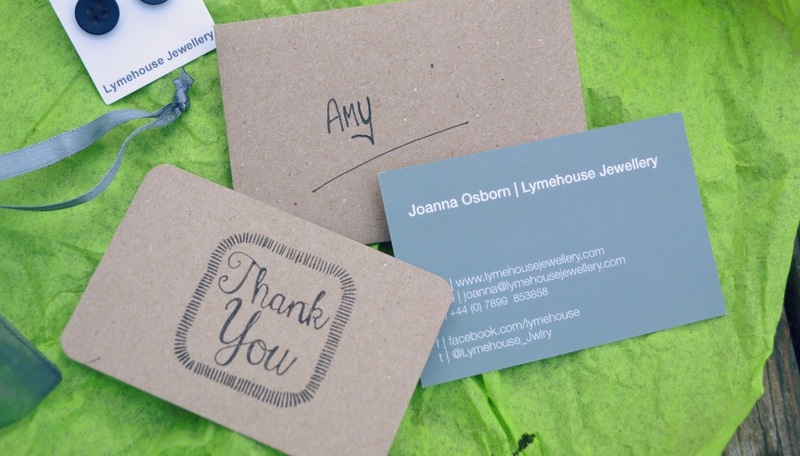 Overall I am very impressed by the service and products provided by Lymehouse Jewellery and am definitely thinking of purchasing just one more pair (you can never ever have too many earrings). Yes that's what I had in mind too - such pretty earrings! My deadline day is over Ickle Pickle so it's just revision from here on!